"I see ARRL as a membership association, a business, and a 501(c)(3) public charity. As CEO, I intend to strengthen all three aspects. And all three must remain in balance for ARRL to function effectively," Michel said. "As a business, ARRL is not just QST magazine, The Handbook, DXCC, or the VEC program. We can't allow ourselves to continue to think within those traditional parameters," he continued. "ARRL's businesses are not membership, publishing, and advertising. ARRL's businesses are value creation, value delivery, and advocacy. I plan to architect ARRL along those lines." The reorganization has three key components. The first major change is the creation of a management council (MC), a deliberative and generative body to discuss ideas, operations, and long-term planning for ARRL. The group's goal is to foster horizontal lines of communication within the organization. Direct horizontal lines of communications are much more efficient than "up, over, and down," Michel offered. The second key change, Michel said, is the addition of a Product Development Manager. This individual's responsibility will be to create new ideas for products and services, create pilot programs to quickly test those ideas, and then -- if the pilot programs are successful -- transition them to operations. Third, he said, is creating the position of a Marketing Communications Manager. "Our brand works with our traditional members. It is not working for newly licensed hams," Michel said. "If we are to create a demand for the value we bring to Amateur Radio, we need a coordinated and consistent message, across all forms of media that resonates with current and potential members." The Board also endorsed the purchase of a modern association management software system that should dramatically improve ARRL members' experiences, Michel said. Read more. "Mintz + Hoke is a really strong partner in this project," Bickell said, adding that the firm has developed a deep understanding of the Amateur Radio community as part of the research phase of this endeavor. "We are building a new learning environment," Bickell said. 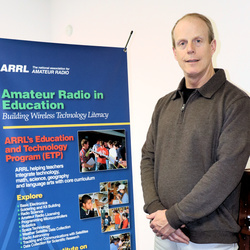 "It will take a lot of work to put this all together, but we believe that this initiative will firmly establish ARRL as an educational leader in Amateur Radio." He expects the online Lifelong Learning platform to launch in the fall of 2019. Read more. HamCation is an opportunity to meet members of the all-volunteer ARRL Board and Field Organization. College radio clubs are invited to hang their school pennants in the ARRL exhibit area. The first 30 college undergraduates to visit the ARRL booth get a free reusable water bottle. And don't miss the Collegiate Amateur Radio Initiative (CARI) forum on Saturday at 3 PM, presented by ARRL volunteers, the Milluzzi brothers, Andy, KK4LWR, and Tony, KD8RTT. Shop for new books, including 2019 editions of The ARRL Repeater Directory® and The ARRL Handbook; Magic Band Antennas by Bruce Walker, N3JO; Portable Operating by Stuart Thomas, KB1HQS, and more! Meet ARRL President Rick Roderick, K5UR, and CEO Howard Michel, WB2ITX. Have your cards checked for DXCC and ARRL Awards. Visit the ARRL Southeastern Division booth and relax in our hospitality area. Meet ARRL Director Greg Sarratt, W4OZK, and many Field Organization volunteers. "FT8" is the topic of the latest (January 31) episode of the "ARRL The Doctor is In" podcast. Listen...and learn! Just ahead: "Are We Entering a Maunder Minimum?" 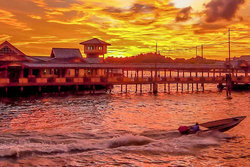 "Many of the team have already landed in Brunei, and the tent is set up on the beach for the CW team," top band expert Jeff Briggs, K1ZM/VY2ZM, reported just prior to his planned departure from the US. Briggs explained in a February 4 update that two operating sites -- one for CW and the other for SSB -- are some 25 kilometers apart. "The CW stations will be set up on Seri Kenangan Beach, with an ocean shot to North America and Europe," he said, adding that he anticipates the first real night will be February 8, as the team may not be fully set up right away on 160 meters. After that, Briggs said he plans to be at the radio nightly, and he's hoping man-made noise remains minimal to nonexistent. All of North America will have some portion of common darkness with V84SAA. Briggs advised North American stations to look for V84SAA immediately after local sunset in Brunei (about 1030 UTC). "We may peak out of a 220° heading about 20 minutes after it gets dark in Brunei," he said. For antennas, the team will use verticals on 160 and 80 meters and a four-square on 40 meters located on the beach. Plans call for two Beverages -- one for Europe and another for North America. While the team will focus on the low bands, expect to find V84SAA on the higher bands too -- including 30, 17, and 12 meters. Brunei is the overall 146th most-wanted DXCC entity, according to the Club Log DXCC Most-Wanted List, but it's number 39 on 160 meters, and 73 on 80 meters. Read more. The Young Amateurs Radio Club (YARC) Youth Contesting Program (YCP) wants to match groups of enthusiastic young contesters with "big gun" stations to gain operating experience during the CQ World Wide WPX SSB Contest over the March 30 - 31 weekend. The YCP is a weekend initiative for groups of young Amateur Radio contesters in the US and Canada. 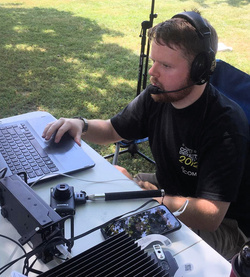 "It will hopefully enable a new dimension of the hobby [for] young hams who have contested a little before, and set a new precedent for the welcoming of a new generation of radiosport aficionados," explained YARC Board Member Sterling Mann, N0SSC. The 27-year-old electrical engineer, who helps manage YARC programs and outreach, described the initiative as "intentionally flexible, lightly organized, and low-cost." "We will attempt to pair a small group (up to four) of young contesters interested in operating with a 'big gun' station owner interested in hosting the youth group," continued Mann, an ARRL member active in the College Amateur Radio Initiative (CARI). "The contesters will operate from the station, and the host has the option to help the youth improve their skills, provide advice, and even operate alongside. We will try to keep it such that young hams will only require a relatively short drive." Sterling Mann, N0SSC, during the Solar Eclipse QSO Party in 2017. YARC's YCP is inspired by the efforts of Youngsters on the Air (YOTA) and its own Youth Contesting Program, as well as Team Exuberance, Mann said. He added, "We hope to inspire a big chunk of young hams into becoming the greatest contesters of the 21st century." From the early morning hours of January 27, radio amateurs in Cuba's capital of Havana were keeping an eye on the weather. An extratropical low-pressure system in the southeastern Gulf of Mexico associated with a cold front approaching from the west was preceded by a line of pre-frontal storms, generating severe weather conditions that deteriorated considerably that evening and into the night. 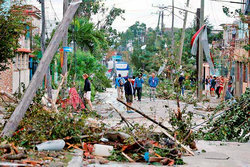 Completely unexpected, though, was an F4 tornado that caused considerable damage in Havana. While hurricanes and tropical storms are fairly regular occurrences, the tornado was said to be the first ever to hit Havana. "Once again, Amateur Radio operators proved how they could handle emergency traffic during the severe weather event, when the 2G and 3G mobile cellular phone systems collapsed due to damage and the excessive traffic generated by the event," Radio Havana's Arnie Coro, CO2KK, reported on his DXers Unlimited, Weekend Edition program. "Using the Havana Metropolitan Area main repeater on 145.190, stations with handheld FM transceiver[s] could keep in touch from even the most difficult places in the affected areas comprising the municipalities of Regla, San Miguel del Padrón, Habana del Este, and 10 de Octubre." 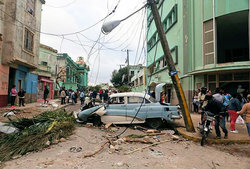 More than a dozen radio amateurs responded to assist in the weather emergency, handling message traffic, a Federación de Radioaficionados de Cuba (FRC) report said. "It is worth mentioning the speed with which the emergency information was handled via radio, since everything happened so fast, complicated by a lack of electrical power, landline, and cell communication. [E]verything was in chaos. In seconds, everything stopped working," the report added. A new backdoor Linux-based operating system Trojan dubbed "SpeakUp" is on the loose, although so far it does not appear to have propagated to North America or Europe. Research team Check Point Research recently reported the discovery and said SpeakUp exploits known vulnerabilities in six separate Linux distributions and is able to evade all security vendors. Some radio amateurs use various forms of Linux, including the popular Ubuntu software, which includes ham radio apps. "The attack is gaining momentum and targeting servers in East Asia and Latin America, including AWS [Amazon Web Services]-hosted machines," the Check Point Research article said. "SpeakUp acts to propagate internally within the infected subnet, and beyond to new IP ranges, exploiting remote code execution vulnerabilities. In addition, SpeakUp presented ability to infect Mac devices with the undetected backdoor." "SpeakUp's obfuscated payloads and propagation technique is beyond any doubt the work of a bigger threat in the making," Check Point Research concluded. Whenever the ISS is within range, transmit between 435 and 438 MHz, avoiding 435.95 MHz in Europe and 436.5 MHz (the receiver's center frequency). Transmit a continuous carrier and do not employ Doppler shift correction. Read more. 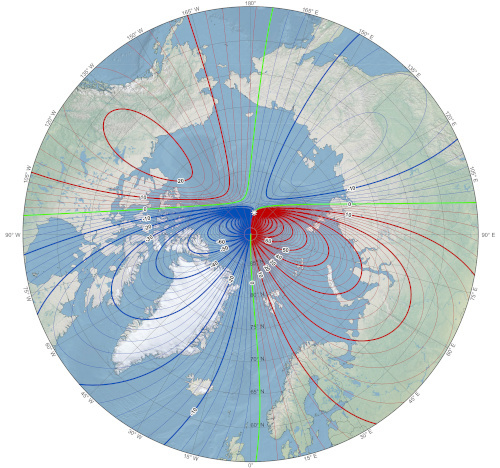 National Centers for Environmental Information (NCEI) scientists have updated the world magnetic model (WMM) mid-cycle, as Earth's northern magnetic pole has begun shifting quickly away from the Canadian Arctic and toward Siberia, an NCEI report said this week. While the new WMM more accurately represents the change of the magnetic field since 2015, it has no impact on propagation. "This out-of-cycle update before next year's official release of WMM 2020 will ensure safe navigation for military applications, commercial airlines, search and rescue operations, and others operating around the North Pole," said NCEI, which is part of the National Oceanographic and Atmospheric Administration (NOAA). "Organizations such as NASA, the Federal Aviation Administration, US Forest Service, and many more use this technology. The military uses the WMM for undersea and aircraft navigation, parachute deployment, and more." Other governmental entities use the technology for surveying and mapping, satellite/antenna tracking, and air traffic management. Smartphone and consumer electronics companies also rely on the WMM to provide consumers with accurate compass apps, maps, and GPS services. 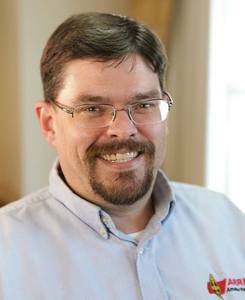 ARRL's Emergency Preparedness Manager is stepping down. Mike Corey, KI1U, has announced that he will depart ARRL on February 15 to pursue another career opportunity. 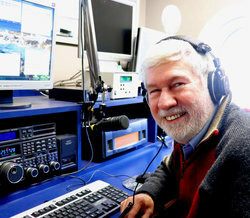 He has been part of the ARRL staff since 2010. "Mike has accomplished much during his 9 years on the job, including expanding the Ham Aid program, national disaster response, working with our national partners, and, most recently, the rollout of ARES Connect," said ARRL CEO Howard Michel, WB2ITX. The Headquarters team will miss Mike's friendly personality and wishes him well in his pursuits. As Mike is an active ham, there is a good chance we will run into him on the air. As part of the overall restructuring at ARRL Headquarters, ARRL management will take the opportunity to examine the administration of the emergency preparedness program. The 2019 ARRL International DX Contest CW weekend is just ahead on February 16 - 17, while the phone (SSB) weekend is 2 weeks later on March 2 - 3. Even if you or your station are not competitive, DX-oriented operating events such as these offer the possibility of putting some new DXCC entities into the log, upping your operating skills, or just getting a feel for how well your station and antennas fare on busy bands. US and Canadian operators work as many DX stations in as many DXCC entities as possible on 160, 80, 40, 20, 15, and 10 meters. DX stations work as many US and Canadian stations in as many of the 48 contiguous states and provinces as possible. US and Canadian stations send a signal report and the state or province, while DX stations send a signal report and the power output. On CW, many stations will send "cut numbers," abbreviations that can confuse contesting newcomers. For example, the letter A = 1, N = 9, and T = 0. So, log "5NN ATT" as "599 100 W." Also listen for "1K" or "K" to indicate 1,000 W.
ARISS has announced another slow-scan television (SSTV) transmission event. Transmissions will include images from the NASA on the Air (NOTA) program that celebrated NASA's 60th anniversary and key events in NASA's early history during 2018. Transmissions are scheduled to start on Friday, February 8, at 1400 UTC and run through Sunday, February 10, at 1830 UTC. SSTV images will be transmitted on 145.80 MHz using PD120 mode. Images can be received using equipment as simple as a VHF handheld radio or any other receiver or scanner that covers the 2-meter ham band. To see the images, connect the receiver's audio output to the audio input of a computer running free software such as MMSSTV. 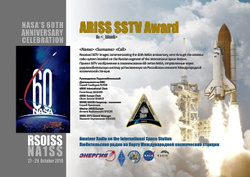 Images can be posted online for viewing, and those posting images can receive an SSTV ARISS Award. SSTV events are dependent on other ISS activities, schedules, and crew responsibilities on the ISS, and are subject to change at any time. Tad Cook, K7RA, Seattle, reports: Solar wind pushed geomagnetic indicators higher on February 1 - 2. The average planetary A index rose from 7 (for the 7 days ending January 30) to 11.6 on January 31 - February 6. When geomagnetic conditions are active, we usually see higher indices at high latitudes. Alaska's college A index (measured near Fairbanks) was 40 on February 1, indicating disturbed conditions for the higher latitudes, with a great deal of absorption rather than reflection of HF radio waves.